Unless you're a serious performance driver, stick with the 17-inch wheels on the CLA250; they'll give you a much better ride. The 2016 Mercedes-Benz CLA is the German luxury make’s smallest sedan, and it’s been a big hit in expanding the company’s buyer base. It enters its third year with just a handful of trim, feature, and option updates, accompanied by the similarly-sized GLA crossover utility vehicle—which can be also viewed simply as a hatchback version of the CLA sedan. But it’s hardly alone in the field, with a host of new competition in showrooms or on the way. 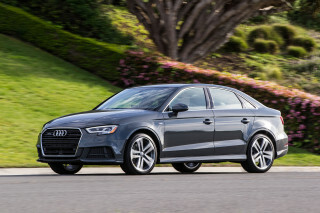 The redesigned Audi A3 may not look like a stylistic departure, but it’s now a sedan, making it a direct competitor to the CLA. 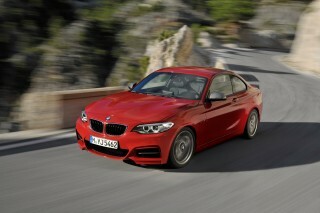 BMW’s 2-Series is still only offered as a coupe, but it has a new interior and updated styling. 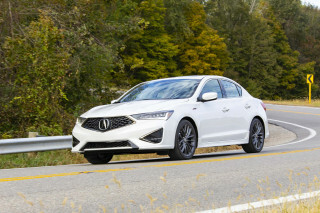 The Acura ILX sedan has been retooled to compete more effectively, and there’s also the quiet and handsome Buick Versano. The Lexus CT 200h hybrid hatchback is a surprisingly capable competitor—and it’ll be joined next year by the Infiniti QX30 hatchback as well. The shape of the CLA is a scaled-down version of the large, handsome CLS “four-door coupe” (actually a sedan), and it’s an audacious entry into the segment that makes Audi’s A3 look almost prosaic in comparison. The arc-shaped profile gives it steeply raked front and rear screens, a low nose and tail, and it even uses frameless door glass—a first for Mercedes in recent years. Inside the CLA, you’ll recognize the interior as a similarly scaled-down version of a big Mercedes cockpit, though this one’s more SLK two-seater than C-Class sedan. Opinions are split on the LCD screen that stands proud of the dash; some like it as a crisp, modern, consumer electronics-inspired look that lowers the dash height, while others think it seems tacked on at the last minute. The base CLA250 has only a single powertrain, but there’s also a low-volume (and much pricier) hot-rod version—the CLA45 AMG—that uses a significantly more powerful version of the same basic setup. The CLA250 uses a 208-horsepower turbocharged 2.0-liter inline-4 mounted transversely producing 254 pound-feet of torque, and powering the front wheels through a 7-speed dual-clutch automatic transmission. 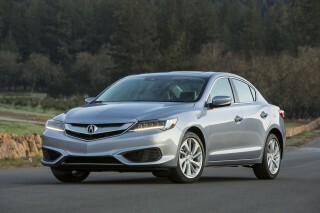 All-wheel drive is available as an option, though it remains weighted toward the front wheels under most circumstances. Under most driving conditions, the engine sounds good; Mercedes says it’ll accelerate from 0 to 60 mph in 6.7 seconds. If you’re an active driver, you’ll want to keep the transmission in either sport or manual mode, since it can get caught off-guard by a request for sudden acceleration. Blame it on fuel-economy rules, which keep the car in high gears at low engine speeds as much as possible. Flooring it requires the engine to spool up the turbo while downshifting once, twice, even three times—which takes a few seconds. But a 30-mpg combined rating is easily reachable; and all-wheel drive has a surprisingly small fuel-economy penalty. The CLA45 AMG uses a similar powertrain layout, but every component’s been uprated, strengthened, or improved. The result is a remarkable 375 hp and 350 lb-ft from the same 2.0 liters, and a 0-to-60-mph sprint in just 4.1 seconds. It also comes with standard all-wheel drive, and most noticeably, the transmission has been reprogrammed to provide much faster responses and fewer downshifts. While Mercedes tradition gives a firm, heavy, planted feel to its bigger sedans, they can feel heavy on the road. The CLA has more tightly-tuned steering, with a nicely weighted feel and quick responses—even if its feedback is minimal. The suspension has been made more compliant, with the previously standard “Sport” mode now an option, and 18-inch wheels are just a $500 upgrade over the standard 17-inch run-flat tires. But our test drives suggest the ride is better with the smaller, taller tires. The AMG’s handling is altogether different, and it may even have a slightly more refined ride. It corners flat, delivers far less understeer, and feels no rougher on most surfaces than the cheaper model—even with the optional low-profile 19-inch wheels and tires. An available AMG sport suspension flattens the roadholding even further without noticeable ride degradation. While it’s enjoyable to drive, the CLA is not the car to pick if you customarily carry four adults. Its back-seat room is tight, the rear doors are small and challenging to enter and exit from, and headroom is minimal. This applies to many of its competitors, but perhaps most of all to the CLA. It’s the price you pay for that sleek silhouette. (Over-the-shoulder visibility is lousy too, courtesy of the drooping roof, thick pillars, and high rear shelf.) Trunk volume is good, though, and the cabin has various bins and trays that prove useful for storage. The Mercedes CLA has a number of standard safety features not found or even offered in mainstream compacts. They include a forward-collision alert that alerts the drive to obstacles ahead, as well as an Attention Assist system that monitors driver behavior and uses a coffee-cup icon to pull over if it senses a driver is getting drowsy. Optional safety systems include adaptive cruise control; lane-keeping assistance; blind-spot monitoring; and parking sensors with a parking-assist feature. Given the limited rear visibility, we’d prefer to see the rearview camera become a stand-alone option rather than one element of a pricier package. Every CLA 250 sedan comes equipped with standard Bluetooth, a power-adjustable driver’s seat, MB-Tex vinyl upholstery, and cruise control. You can connect smartphones via a 5.8-inch screen and the Mercedes mBrace2 system, and there’s a choice of no fewer than three different navigation options. The most expensive of them includes real-time traffic data, voice commands, and that rearview camera. The Premium package is a popular option; it groups surround-sound, an iPod interface, satellite radio, dual-zone climate control, heated front seats, and a garage-door opener. Stand-alone options include leather seats, a panoramic sunroof, parking assist, blind-spot monitors, heated front seats, and summer tires. A well-equipped CLA 250 can get to $45,000 or higher, although most buyers are likely to pay in the mid- to high $30,000s. The CLA 45 AMG houses its high-performance drivetrain in a package that’s similarly configured to the pedestrian CLA 250. Its price is roughly $17,000 pricier than the just-above-$30,000 tab for the base car, but it adds options like superb Recaro performance seats, uprated tires, carbon-fiber exterior and cabin, and black-out trim. A well-trimmed AMG version will likely roll out of the showroom for $55,000 or more. Changes to the CLA since its 2014 launch have been minor. Last year it got a new steering wheel design and changes to the components in three option packages. For 2016, there’s a new Night Package option and the addition of a Dynamic Select drive mode. Black and grey MB-Tex upholstery can be ordered with contrast stitching and the ambient lighting now offers a “welcome light show.” Finally, 750 units of a special limited edition called “Orange” will be offered nationwide. On top of achieving the 30-mpg mark, the CLA earns impressive fuel economy ratings. Base CLA 250 models manage up to 38 mpg highway—a figure we could easily duplicate. All-wheel-drive versions are only slightly penalized: CLA 250 4Matic models manage 24 mpg city, 33 highway, 27 combined. The 2016 Mercedes CLA is a smaller version of the CLS "four-door coupe" with an appealing interior. The Mercedes-Benz CLA is fast becoming a standard element of those enclaves where premium vehicles roam, though it’s attracting new and younger buyers too. But it remains a striking design for a small car, one that has preserved a lot of the Concept Style Coupe show car that previewed its lines years ago. That vehicle previewed both its intricate grille details and the atypical frameless door glass, details that set apart the first front-wheel-drive Mercedes sedan ever sold in the U.S. While the CLA forgoes the long-nose proportions that define every other Benz sedan, it bears an obvious resemblance to the curvaceous CLS “four-door coupe” that kicked Mercedes design into a new and more sensuous arena a decade ago. It’s doubly impressive because it’s so small, though at the price of an all-but-unusable-for-adults rear seat. Equally unusual for a small car, it has a low drag coefficient of just 0.23, assisted by underbody shields and large air intakes low in the front. The soft, tapered rear end and the curves stamped into the rear fenders reinforce the arc silhouette, and details—headlights, door handles, wheels, and ribbed LED taillights—that are slightly oversized counter-intuitively make the whole car fit well with its larger stablemates. Inside, the CLA’s cockpit blends Mercedes sports-car elements with enough of the bigger sedans to make it instantly identifiable as coming from the three-pointed star. Its gauges sit at the ends of long tubes with angled openings, and the five silver air vents—one at each end, three in the center—are now a Mercedes trademark. Dark grey trim is standard, with aluminum, walnut, or ash accents optional on the CLA250 and standard on the AMG version, which also gets red-stitched seats and distinctive red seat belts. Leather is optional, but MB-Tex synthetic upholstery is the standard fitting. The dash, with excellent and refined graphics on various screens, is sleek and clear. The sole polarizing detail is the dash-mounted LCD screen, which stands proud of the top of the dash surface—which is lower as a result—rather than being built into the top of the console. Some say it looks like nothing more than an iPad Mini plonked on top as it rolled off the line, while others see it as a more modern take indicative of how we treat our consumer electronic devices in the mid-2010s. For what it’s worth, it follows similar setups from BMW (in its i3 electric car) and a variety of Audi models (whose screen rises through a slot in the top center of the dash when the car is turned on). Only its tuning for fuel economy keeps the Mercedes CLA 250 from being a sport sedan; the CLA45 AMG is a rocket on roller skates. The 2016 Mercedes-Benz CLA250 hardly lacks for power, and its neutral driving feel masks its front-wheel-drive roots. The main challenge while driving is that it's been tuned to maximize fuel economy unless you drive it hard, meaning that it's sometimes reluctant to downshift and deliver power right away when you want it. The base 2.0-liter, direct-injected, turbocharged inline-4 delivers 208 horsepower and 258 pound-feet of torque. It spins out enough low-end torque to beat the 4-cylinder C-Class from 0 to 60 mph—in about 6.7 seconds, Mercedes says, with a top speed limited to 149 mph. Then there's the low-volume, pricey, hot-rod CLA45 AMG version, which uses a much-modified version of the same powertrain with higher turbo boost, higher redline, and higher pretty-much-everything-else-too. A specially designed, optional, active-exhaust system fiddles with a butterfly flap to play punk sax with the exhaust note, for example. It's quiet and surprisingly tractable in normal, everyday driving, but crazy hot at full boil. For 2016, the AMG gets a power boost over the versions from the first two years; it's now delivering 375 hp (up 20) and 350 lb-ft of torque (up 18). The added power now rockets the littlest AMG sedan from 0 to 60 mph in a startlingly low 4.1 seconds. That's up in Tesla Model S territory, for comparison. Both engines drive through a 7-speed dual-clutch transmission, with a beefier setup for the AMG model to handle its extra torque. All-wheel drive is a $2,000 option on the regular CLA250, but comes as standard on the AMG. The all-wheel-drive system adjusts torque from almost 100 percent front-biased under normal circumstances to as much as 50 percent to the rear, giving a smoother launch and shifts than the front-drive version. You'll use a retro column shifter on the base car to select drive modes, though the AMG puts the shift lever back on the console. Both cars offer steering-wheel paddles to engage manual shifting for 30 seconds. Stop/start is a standard feature of all CLAs, but it sends a slight shiver through the drivetrain when it shuts off. It will also restart at longer stoplights, making it more noticeable than you might expect. 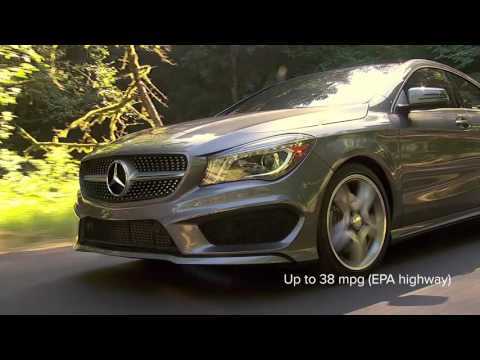 The CLA 250 is tuned to achieve its 30-mpg combined fuel-economy rating, meaning it upshifts rapidly and often. Shifts are cleaner over 30 mph or so, where the action melts into the momentum, but big downshift requests on the highway take time. If you want to make the CLA250 responsive, you can cycle it out of the default Eco mode into Sport or Manual shift modes, which make it livelier at the cost of efficiency. The performance-oriented CLA45 AMG shifts with an entirely different pattern. Its driver-selectable modes (Comfort, Sport, and Manual, now split among a rotary knob and a Dynamic Select function) and its rev-matching ability makes shifts quicker and neater. In manual mode, you're the only system deciding when the car should shift, just as AMG wants it. Both front- and all-wheel-drive CLA250 models have electric power steering and standard 17-inch run-flat tires, which can be upgraded to 18-inch wheels (with or without summer tires and perforated disc brakes). We tested a U.S. car with a lower, stiffer "sport" suspension—standard the first year, now an option—and so we suggest sticking with the 17-inch tires. The 18s, in our experience, magnify the stiffness of the ride. The steering has no sport mode to change its feel or ratios, but that's likely superfluous on an entry-level Mercedes. All of this makes the standard CLA corner flat, almost refusing to lean, and a brash contrast to the traditional Mercedes reputation for compliant suspension and comfortable ride. Steering effort and ratio both rise as you move off-center, giving the CLA quick responses, though typical electric-steering numbness remains. We'd give the dynamic nod to the all-wheel-drive version, which is better equipped to put down the engine's power. The CLA 45 AMG has separately tuned steering, suspension, and brakes, and it corners even flatter. Its electric power rack has a fixed ratio, though effort still varies with vehicle speed. It rides nearly an inch lower, on a rear track nearly a half-inch wider, than the CLA 250. The suspension's uses three links for each front wheel as well as stiffer bearings, since its torque and traction loads are much higher. At the rear, there are four links, coil springs, and a body-mounted subframe. Thicker anti-roll bars are used front and back, and the stability system feeds commands to each brake individually to provide torque vectoring on corners. The AMG has 18-inch wheels and performance tires standard, and you can get 19-inchers as an option. The outcome of all this is explosive acceleration, amazing grip, and utterly neutral handling. 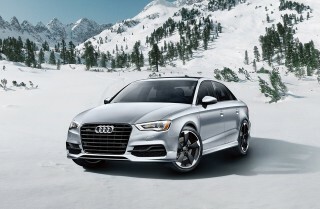 You'll entirely forget there's front-wheel-drive hardware under there. Understeer is dialed out through the all-wheel drive, while any torque steer that might be present is kept from your hands by the electric steering. You can make the CLA45 erupt from a standing start with AMG's Racestart launch control, which works the dual-clutch transmission to its limits. But unlike the CLA250, the CLA45 AMG still lets you feel the road surface. It's a well-sorted little rocket—and it's even faster this year. The Mercedes CLA will be fine for two people, but its rear seat is marginal for all but the small, lithe, and tolerant. The Mercedes CLA fits broadly into the compact-sedan segment, encompassing everything from the Honda Civic and Ford Focus to its direct competitor the Audi A3. Its 182-inch length offers less interior room than in many similarly sized four-doors, owning to its striking and coupe-like lines. Front-seat passengers fare far better in the CLA250 than those in the back. The well-bolstered seats are comfortable and supportive even on long trips, just like those of its big brothers. Firm bolsters hold you in place on the sides of both the bottom cushion and the back-rest. The driver gets power adjustments for rake and position; the front passenger doesn’t, making it a reach to find the wheel to adjust seat back angle. Two storage bins sit between the seat, a square one sized for large drinks and a smaller tray with a power outlet. Longtime Mercedes drivers will have to get used to the transmission selector, which is mounted behind the steering wheel of the CLA250 on the right, just where the wiper stalk used to sit. Retraining may be required for owners who find themselves putting the car in neutral while instinctively trying to use the flick-wipe. The AMG performance version, however, gets a more conventional shift lever on the console, replacing the cupholder compartment. Rear-seat occupants don’t fare as well. The car sits low and the rear door openings are small, so getting in and out requires more effort than you’d expect, and once you’re in, head room and foot room is tight. If you customarily carry four adults, especially if your rear passengers may be older, this is not the car for you. Have a look at the larger C-Class instead. On the plus side, however, trunk room is ample despite the tapered tail, and the rear seats fold down to expand it when necessary. The CLA’s entry-level luxury status is betrayed in only a few places. The silver trim rings on the air vents aren’t the usual chrome, but rather silver plastic, with notches to disguise their humble origins. The fabric shade for the panoramic sunroof feels and looks thin and flimsy. The center console is covered in soft-touch plastic, the dash brim is a satiny metallic plastic, and the car is mostly quiet on the road, with muted road noise and minimal wind noise. Mercedes didn’t need to resort to active noise control to muffle the powertrain, though it makes itself heard under hard acceleration notably more than in a bigger Benz. The CLA45 AMG offers optional Recaro performance seats for the most enthusiastic owners, heavily bolstered, to complement the red seat belts. And its standard aluminum trim upgrades the cabin even more. Three years in, there are still no crash-safety ratings for the Mercedes CLA, but its active-safety systems are fully up to date. Three years into its model life, the Mercedes-Benz CLA still hasn’t been crash-tested by federal safety authorities nor the independent IIHS. Our rating is thus based on both the brand’s longstanding strong performance in crash safety and the standard safety equipment, which includes a knee airbag for the driver. Other standard features on the safety front include Attention Assist, which displays a coffee-cup icon when it senses the driver is getting sleepy or is losing focus. Also standard is a radar-based Collision Prevention Assist system, which warns the driver with visual and audible alerts of upcoming obstacles (above 4 mph). A great deal more safety equipment is offered on the CLA as optional equipment, including blind-spot monitors, lane-keeping assistance, adaptive cruise control, and parking sensors with parking assist. We’d prefer, however, that Mercedes offer its rearview camera as a stand-alone option, rather than bundling it into larger option packages carrying four-figure price tags. The marginal rear and rear three-quarter vision makes the camera almost a necessary aid for safe reversing. A surround-view camera like that of the E-Class would be even better, especially since it’s a feature now showing up on mass-market sedans. The entry Mercedes CLA may start just over $30,000, but you'll likely add $5,000 more—perhaps $10,000 or up—by the time you're done. For 2016, its third year on the market, the CLA gets the addition of a Dynamic Select drive mode and a new Night Package option. Black and grey MB-Tex upholstery can be ordered with contrast stitching and the ambient lighting now offers a “welcome light show.” Finally, 750 units of a special limited edition called “Orange” will be offered nationwide. 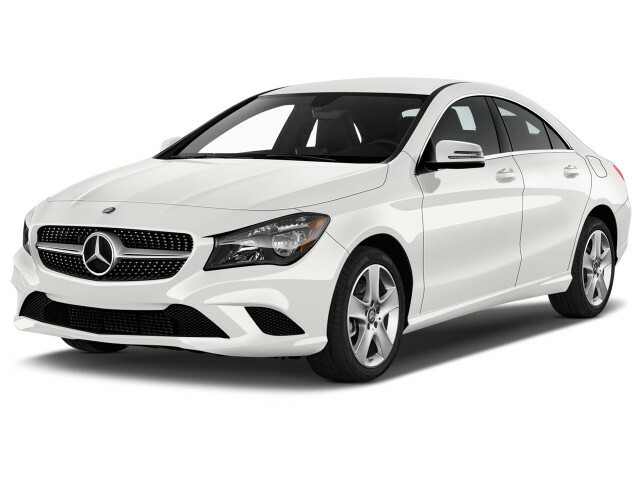 All CLA250 models come standard with 17-inch wheels with run-flat tires, a sport-tuned suspension, cruise control, a power-adjustable driver's seat, Bluetooth, and MB-Tex upholstery. That equips them commensurately with other entries in the segment. The only odd omission we found was the lack of a power-adjustable front passenger seat, even as an option. 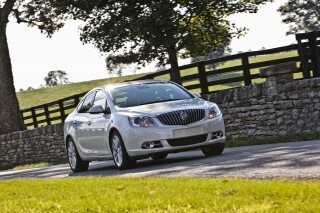 All-wheel drive adds $2,000 regardless of other trim specifications. Options are available both as individual selections and bundled into various packages that combine popular features together. The Premium package, for example, includes surround sound, an iPod interface with satellite radio, heated front seats, dual-zone climate control, and a garage-door opener. Leather upholstery is available as part of the $1,500 Interior package, but it requires the Premium Package be selected first. A panoramic sunroof with a thin fabric sunshade is a stand-alone option, as are blind-spot monitors, parking assist, and heated front seats. Other trim and styling choices go beyond the usual shades of gray paint. Black ash and burl walnut trim can be chosen to replace the grey plastic dash trim. One of the more interesting, if questionable, dealer-installed options is an illuminated three-pointed star for the grille. A sport-appearance package adds AMG-style 18-inch wheels and its own lower front-end treatment, to the standard sporty grille texturing. The wheels are offered by themselves as well. The performance-oriented CLA45 AMG starts more than $17,000 higher than the base CLA, only a few thousand short of the C63, the next model up in the AMG lineup. Its standard features are similar to those on the CLA250, but it adds the unique and far more powerful engine, standard all-wheel drive, AMG suspension and chassis hardware, and a number of additional options not offered on the 250. CLA45 AMG options include Recaro sports seats—highly recommended, as they're superbly comfortable and even more supportive—and a Night package that blacks out big swaths of exterior trim. Or there's an exterior carbon-fiber package that bundles a front air dam, mirror caps, side-sill inserts, and a rear diffuser, all made from the flashy material. You can get red-painted brake calipers, 19-inch performance tires with black-painted wheels, and a flat-bottomed steering wheel. For 2016, the AMG model gets some feature upgrades, including keyless ignition and dual-zone climate control as standard equipment. It also gets what Mercedes calls a "next infotainment generation" system with a 7.0-inch display, and it comes pre-wired for a Garmin Map Pilot system. It also gets some changes to its options packages and performance equipment, and some name changes for the various drive modes. All CLA models—250 and AMG—come with Bluetooth standard and smartphone connectivity functions via Mercedes-Benz's mbrace2. The CLA 250 has a 5.8-inch display, the AMG a 7.0-inch screen—and the latter shows its Racestart performance data on the screen as well. An inexpensive Becker system is the first option for navigation beyond smartphone-based systems; it requires a pre-wiring package, but costs well under $1,000. Also optional, but more elaborate, is the infotainment system that comes as part of the Multimedia package, which uses a 7.0-inch screen and includes COMAND, to control the navigation system, DVD changer, 10 GB music drive, or SD card (as well as phone services) with voice commands. This package also includes a rearview camera and real-time traffic data, but specifying the Multimedia package requires the Premium package be chosen as well. We find COMAND to be frustrating to use while on the road, although perhaps less so when used to set up the car before driving. It requires a lot of scrolling and toggling to get to basic menus. Redundant buttons on the center console help when switching modes, but like many of these systems, there's a steep learning curve and the operation is far from intuitive until you get the hang of it. Finally, the CLA's infotainment system can be fitted with DriveStyle, which integrates some apps like Facebook and Twitter with the knob controller and voice commands. This provides message reading while driving, and lets users choose from a set of stock answers. It's basically a limited set of the app functions with larger icons for safety, but it's not true screen-to-screen mirroring. Moreover, Mercedes has decided as a company that touchscreens are too distracting, so there's no touch interface here. DriveStyle is an accessory, offered for $599. The Mercedes CLA gets a combined 30-mpg rating in its front-wheel-drive form, and our tests suggest that's a realistic number for the real world. As its smallest sedan, and a fairly high-volume entry at that, Mercedes-Benz is relying on the CLA to help it meet corporate average fuel economy standards. It’s taken great pains to make the car as efficient as possible, and they’ve largely paid off, with a 30-mpg combined rating for the standard CLA250 model. Tricks include a body sculpted to achieve one of the best coefficients of drag of any vehicle on sale, underbody shields, and carefully honed intakes and vents that manage the airflow through and around the car. The standard start-stop system is smooth enough at shutting off the engine when the car comes to a stop. But occupants will feel a shudder through the driveline as it fires up again when the driver’s foot starts to come off the brake pedal. Still, it works, with ratings of 26 mpg city, 38 highway, 30 combined, courtesy of the 7-speed dual-clutch automatic. On long interstate runs, we’ve managed 37 mpg without notably changing our driving style, confirming the ratings. If you opt for the 4Matic all-wheel-drive version of the CLA250, you'll come in lower, at 24/33/27 mpg. Surprisingly, this year's rip-roaring CLA45 AMG version with AWD standard only loses 1 mpg from the standard version. It is at 23/31/26 mpg. The hot-rod CLA got even more power for 2016, though, up from 355 to 375 hp, with more torque and faster acceleration accordingly, with no actual mileage penalty. 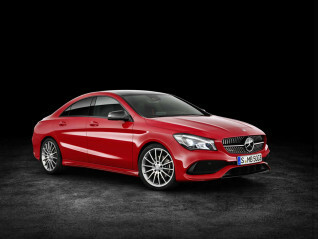 Looking for a different year of the Mercedes-Benz CLA Class?